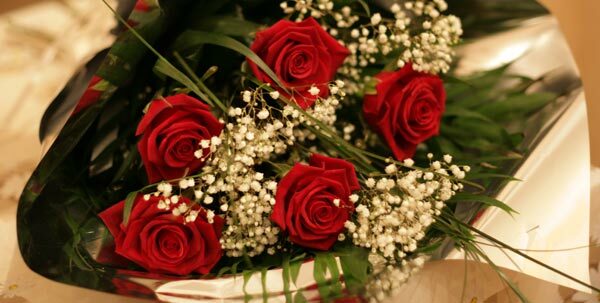 Chances are, if you received a gift for Valentine’s Day, you received flowers. After all, statistics for 2011 showed that 40 percent of all purchases were for fresh flowers. And chances are, the blossoms you received brought a smile to your face for many days after their arrival. But for a few recipients, the only emotion they received from their gift was disappointment — from the moment their blossoms arrived. Unfortunately, many givers this past Valentine’s Day (as in holidays past) didn’t understand the importance of buying flowers from a local florist. Instead, they saw and heard ads on TV and the radio. They noticed banner advertisements alongside their Facebook profiles. And they called or clicked and ordered. Most of the ads in the national media were for companies known in the florist industry as “order-gatherers” or “wire services”. In other words, they are not florists. They are simply companies that take orders. These companies hire thousands of individuals sitting in cubicles all over the globe to accept and handle these orders. Once they process your credit-card number, these companies begin contacting florists near the recipient’s home to try and fulfill the order. In handling the transaction, these businesses either add a fee to the cost of the original bouquet, increasing the price substantially over what a local florist probably would have charged for the same arrangement. Or the company offers to pay the florist a low-ball fee to create and deliver the bouquet — often at such a reduced rate that the florist makes little to no profit if he or she accepts the order. As a result, many reputable florists simply say no to such requests. However, some florists do accept these orders, and because those florists receive such a decreased reimbursement for the bouquet, they may include fewer and less expensive flowers than the giver originally ordered. The resulting floral arrangement often looks nothing like the original design ordered. Then there are the companies who advertise prolifically with images of gorgeous, bountiful bouquets in stylish vases overflowing with massive blooms. It’s only in the fine print that the purchaser may discover that these bouquets are sent in a box, without a vase, without water, without cold packs and without any of the other tools that a reputable firm uses to prolong the life of fresh-cut flowers. 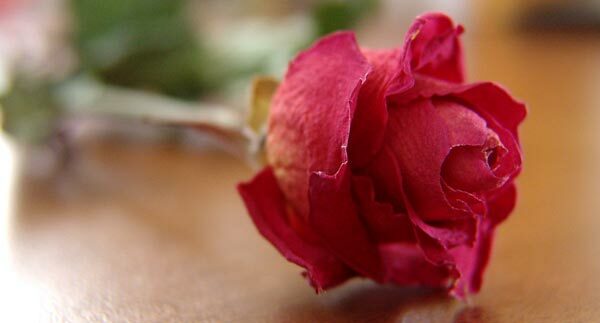 Recipients simply receive a box of flowers — often drooping, wilted, broken and faded. This Valentine’s Day was no different. Well, actually, it was different in that it was worse. It turns out that at least one of the major order-gathering firms, ProFlowers, was accused of allegedly sabotaging small local floral shops by placing ads on Google that proclaimed the retailers were “sold out for Valentine’s Day” when online shoppers went searching for local florists. Thus, consumers who might have used local brick-and-mortar stores ended up turning to the online order gatherers because they believed they had no other option for their last-minute orders. On Valentine’s Day and the days after, the Facebook pages of some of the biggest floral advertisers in the world blew up with messages of disgust, regret and disappointment. Many of the people posting comments vowed they would never buy from those companies ever, ever again. Unfortunately, many of them may also decide never to buy flowers ever again — from that company or any other. And that’s a crying shame. Because respectable, trustworthy, honest and talented florists all over the world will never be able to prove to those people that sending flowers doesn’t have to end with a recipient embarrassed to show off the otherwise thoughtful gift their loved ones went to the time and expense to send them. And those people will never experience the long-lasting value of buying quality flowers from a florist who doesn’t lower his or her standards to deliver a subpar product. It’s a lesson you don’t have to learn if you buy your flowers from a florist with whom you’ve developed a trusting relationship. Even if you want to send flowers to some other city, you can find reliable, responsible florists you can call to create your bouquet. One of the easiest ways is via www.Yelp.com or a similar site that offers consumer reviews. 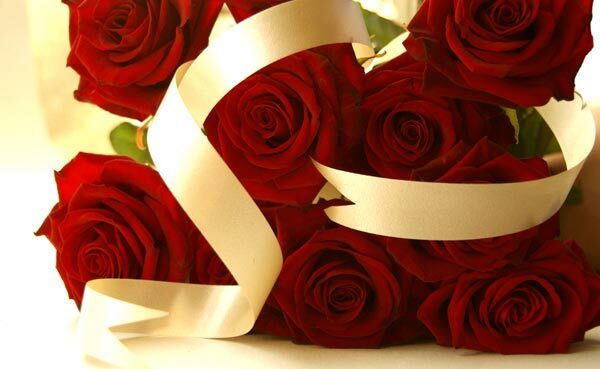 Simply search for a florist in the city in which you want flowers delivered. Another option, especially if you need to send sympathy flowers, is to find the name of a nearby funeral company and ask its director what florist he or she can recommend. Reputable florists are in abundance, but most are independent businesses without the high-dollar marketing budgets to advertise on TV, radio or the web. So, the next time you see those expensive, ubiquitous ads, see them as a reminder that flowers are a lovely, thoughtful and appreciated gift. Then call or visit a local florist to discuss a custom-prepared bouquet that will perfectly fit your budget and reflect the recipient’s personality. Whether it’s Valentine’s Day, Mother’s Day, an anniversary, birthday or “just because,” the result will be a loved one with a smile of absolute adoration and pure, unadulterated delight. Update: Here are some tips for ordering flowers for Valentine’s Day. Well Done! As a wholesale florist for over 30 years I am very pleased with this article.It was well written and says what we all know to be true.Our Local Florists are the backbone of our industry and have built our industry on hard work,talent,and concern for their customers.I appreciate that you told consumers how to avoid the trap of these order takers so that they can actually get the beautiful flowers they want and deserve for their money.Retail florists are hard working,dedicated,caring business people that provide their talent and beautiful flowers for a fair price.I hope people that read your article will remember the next time they send flowers to deal directly with a real flower shop and not an 800 number.Keep up the good work and let’s continue to make the world a more beautiful place. Thanks for the kudos! It’s a group effort to get the word out, so if we all work together to keep educating consumers, hopefully we can teach them where the best value lies! PS: I agree with Brad that Gina did a great job with this article… thanks Gina! What a fantastic service you are providing with your guide to quality florists! Referrals from friends and family are always great, but when you don’t have that, then a tool like this is the next best thing! Please feel free to add a link from your website to the article if it would help to get the word out across the pond, as they say! Caroline, I had a look at your “Good Florist Guide”, and I love what you are doing. Not only is it a great idea and service, but the website looks well conceived and executed. As far the article being directed to the US market goes, I think this is unintentional, as we are trying to position Florist Chronicles as an international platform for florists and consumers worldwide, although I admit it does get tricky sometimes with certain topics. However the issues in this article apply as much to South Africa (where I run a flower business), as they do to the florists in the USA and presumably also in Europe and the UK. I think this is a global issue that we are dealing with if I look at the discussions I have been following in florist groups on LinkedIn, with comments coming from florists all over the world. But it’s not an issue that can’t be resolved in my opinion. Many thanks for your kind words and offer of link … like you I know this is a global problem but perhaps US peeps have taken the bull by the horn more quickly … helped by the fact that there are no non-compete rules over there whereas our UK florists are bound by rules (particularly those belonging to FTD/Interflora) and therefore ‘making noises’ is a concern for fear of retribution. I think though there is a way and perhaps it is about people like you/I and others working together. Will mull and contact you! PS: Intrigued by your comment that you are in South Africa … have been asked to recommend some designers over there – have suggested Caroline Dickenson as a result of a referral … can you help wiht any other ‘names’. A concise, accurate, article reflecting the nature of the US on-line floral trade to the consumer. I just wished you had written more about the US$ level of “service” or “handling” fees that the Wire Services levy, especially at the peak times of V-Day and Mother’s Day and making it abundantly clear that those those are entirely retained by the wire service or order gatherer and have nothing, whatsoever, to do with the delivery, despite the impression (willingly) created by the wire service or order gatherers. May I ask that you run a follow-up after Easter 2012 commenting on the fees and any collapse in service that might occur. Then again, prior to (US) Mother’s Day on the 13th May in 2012, a piece reminding the public of the fiasco many encountered with the wires and the fees that ALL had to endure in mid February 2012 and, in all probability, at Mother’s Day -for Mother’s Day 2011 in the USA wires were charging aroudn $20+ as their service fee. Unfortunately the major traditional media outlets in the US will, in all likelihood, continue to fawn over the marketing material the leading wire services put out all in the probability that they will advertise with them….one hand does, after all, wash the other. Thank you for the piece above and, perhaps in anticipation for some comments in early May that, I feel sure, many will re-tweet or share on fb. I actually thought about adding more details regarding all the fees, but I didn’t want to get into too much detail and confuse consumers. After all, most of them are unfamiliar with most of this information, so I just wanted to get the point across–in general–about the specific differences. But I love your idea of some follow-up articles for the upcoming holidays. I will definitely keep that in mind! Thanks very much for the suggestion! Thanks for your input Simon. Just on the issue of fees and pricing, I want to add that I don’t think prices and fees are something we will discuss in articles directly, as pricing will likely vary and will be debatable, and we will just be opening ourselves up for attack. This wouldn’t be in anyone’s best interest, as we would lose focus on solving the real issues at hand, while we are debating fee differences. Another reason would be that discussing specific prices will give the articles a US only focus, however we are actually dealing with an international problem on an international platform. Thank you Gina Kellogg and Florist Chronicles for your, separate, replies. I do understand the commentary and the desire to make the article(s) take on more of a global “”feel”. Pricing information can become confusing and tedious and country or region specific. However, despite my comments, I think swathes of the general public believe that shopping on-line with a so-called “trusted” brand name is probably costing them less and there is the “assurance” of the brand. 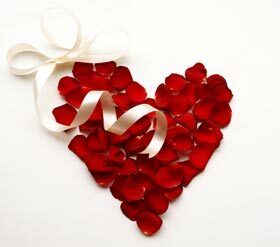 The US debacle over Valentine’s Day 2012 flowers shows that the brand names are failing. In many ways, buying a freshly made floral design directly from a local florist is akin to going shopping and buying the “house brand” as opposed to the nationally (or globally) advertised brand. Invariably the “house brand” is less expensive at the bottom line, regardless of how the allocation towards product, delivery and possibly service fee are split across the total customer spend. “House brands” may even be from the same manufacturer as the national brand and usually of very similar composition and quality. And so it is with the wire services for florist product. Another issue that arose on Feb 14th 2012 (and frequently does throughout each year) is that the over-whelming majority of the floral arrangements on the wire services websites feature photographically enhanced and modified images: the floral company who has recently celebrated 100 years in business is known for using the same image of rose stems in a vase across multiple rose designs, regardless of whether there are 1, 2 or more dozen roses in the different piece. But that is straightforward to spot: many issues occur when the sender sees all of the floral “looking at the camera” to create a 3-sided design while the recipe calls for an all-around design and the result is confusion. The customer expects “x” from their wire service order and believes they receive “66%of x” and dis-affection sets in. You may wish to write a piece on this issue as it is certainly a global one and, with the increasing rise of on-line buying (of just about anything), one that may well grow into a significant subject. Thank you for the piece by Gina and the over-all nature of the postings on this site. Thanks for all the great suggestions, Simon! I’ve thought about addressing the subject of the images of the floral arrangements, and getting your input makes me realize just how important the topic is. As for your analogy to the “house brands,” I had never looked at that way. In fact, I always thought of it just the opposite–that a “regular” florist is like that specialty boutique that carries those designer-label jeans that you can’t find in the big-box stores. But I can see how many consumers might have your viewpoint, instead. So that’s just one more thing that we can address with consumers! You’re a wealth of knowledge and advice. Keep it coming! On the issue of “house brands”, let’s imagine that they are niche “cottage industry ‘house brands’”! With regards to the images on national websites, invariably these are taken with the flora “blown” -fully open- and with, maybe, 2-3 days of serious life left in them. Many consumers expect that when they receive the delivery the product will be as open or “blown” as the on-line image. That, in deed, may be the case. However, the wire services promote “7 days guarantee” et cetera and, if the flowers are “blown” on day 1, by day 4 in the majority of instances, nothing but a seriously dying heap and the consumer complains. It costs the wire services basically nothing to offer this “guarantee” but it is the florist that suffers. The wire services place the florist in an “impossible” situation trying to make the product as similar to the image on-line as feasible AND have flora that lasts 1 week or longer. There is nothing wrong with a guarantee as long as it is feasible. And this is where the law often falls down, certainly in the USA and, possibly, elsewhere. An iris, for example does not have a bloom cycle of 1 week…neither does a tulip to mention but 2 particularly seasonal (in the northern half of the northern hemisphere) flowers. The wire services, contrary to their inflated opinions, have not, yet, changed the laws of nature and, in reality, a 1 week guarantee on many flowers -but certainly far from all- is just not possible. Yet, how is the average consumer to know this? They go by the written statements plastered on the wire service websites. And will the wire services do anything about rectifying -or at least clarifying- their statements and the laws of nature: No! In short, anyway you dice, chop, pare or shred this, the wire service is an adroit deception played upon the consumer and the more persons and bodies such as this site continue to boil the matter to the bare essentials, the better -thank you. Please do not suggest they check with a funeral director. Many of us are fully aware that some funeral directors get kickbacks, and therefore send business the way of a a florist who is willing to give the cut to the funeral director. It might be best to check the zip code. See if the florist is located in the area you are sending too. Please, think about this, I live with this in my small town. I know many others who do to. Too much of the old boys clique, etc. I have been runner-up to the State florist & am dealing with this, I am not alone. I can understand your dismay about my suggestion considering your circumstances. I actually got the advice to confer with funeral directors many years ago when interviewing a florist about an article on the topic–and I hate to think that the individual with whom I spoke may have been in a relationship as you suggest! I think the best way for consumers to find a trustworthy florist is definitely through the referrals of friends and family, and I’ll continue to emphasize that technique in the future. Thanks for pointing out the possible negative side to my suggestion so people can be aware. Many funeral homes are now making arrangements with large wire services/order gatherers. If you go to the funeral home’s website, you can order flowers and it is from a WS/OG. As for local florists making arrangements with the funeral homes, that is just good marketing on the part of the florist. You make a very good point about the “good marketing” aspect. (I feel like I’m on a see-saw of agreements on this topic! Up, down. Up, down!) As long as the florist is delivering a quality product that makes consumers satisfied that they have gotten a good deal, then whether they are giving a commission to the funeral home is really just a matter of that florist beating others to the punch in setting up similar arrangements. The problem is when a florist kicks back money that should have been spent on adding the full value of product to a design. In that case, you can’t excuse it as good marketing. And hopefully any funeral home that makes a referral and ends up with unhappy clients is going to rethink that relationship, no matter how much money it is getting paid. More rebuttal? Or maybe the see-saw has been balanced! Gina ~ great article! I love it when an author “gets” the whole picture and then is able to put it into words. Sometimes I see florists try to educate consumers on this issue and at best the blurbs come out as fantastical ravings. (It really IS hard to swallow that florists continuously accept these terms ~ ). My only wish is that you would have driven home the fact that the service charge the consumer pays is never used for delivery. Every site I visit of wire services and order gatherers shrouds that charge with smoke and mirrors to suggest that a good portion of that service charge is actually for delivery. Hey Gina, something is seriously wrong with your date and time configuration ~ I just posted on March 7, 2012 at about 1:00pm but it shows for July ~ I only WISH it were July right now here in Minnesota! Hey Linda, thanks for taking the time to post your feedback and input. I think I can clear up the confusion with the time stamp for you… While Gina is located in the USA, I am in South Africa, and the server and website are on South African time. And our date format in South Africa is written the other way round. So it is indeed the 7th of March and just past 09:30 pm here. Sorry for the confusion. But that said, it doesn’t matter where we all are… we are fighting a global problem, and florists around the world should unite and work together towards a common goal. Let’s take back some of the lost ground! Like most small independents, establishing a shopping cart is costly. I developed my main website with a TF site attached as a shopping cart. At the outset I advise shoppers that these photos represent the ‘attitude’ they wish to create and the color preferences, and that we do not have the range of TF containers. They are encouraged to call us anytime to discuss the flowers available and most frequently that is what they do. Most people just want to feel in control: poking around a shopping cart allows that sense as long as they are assured that they can expect the best from us. Otherwise, enough information is posted on the main site, Yelp, Google etc that a shopper can determine the integrity of the business, and then can order online in the night and trust that we’ll do it. I’ve never had a complaint that our work does not represent what was intended either in product quality or style integrity as at http://www.flowercomplaints.com. I do not consider myself an ‘order-gatherer’ for Teleflora because I use their shopping cart product. And it is essential to have a primary website to get rank listings, otherwise, I see shops here that have only the TF/FTD franchise sites and they are not anywhere close to the first several pages of Google. I don’t consider myself an order-gather because I use the international services to do the work my customer chooses to entrust me with, vis a vis what they would intend from our shop. Most probably my customers believe they will do far better to discuss with us and choose their pricepoint and preferences than to either Google or go online themselves. That’s the relationship of a florist. In the context of this discussion, I think what needs to happen to assist florists is to –ensure–that customers understand what an Order Gatherer is. It’s not a florist using some of these tools, it’s the Order-Gatherer-Companies’ Head Offices–FTD, TF ProF,FCa, and etc etc–that charge us fees to send them business and then compete with us for that very SAME business by using our fees to place themselves number one on page one and at the top in the adranks as well. Most florists don’t have that budget or acumen. I think the Head Offices must surely be feeling the $$ slide associated with don’t bite the hand that feeds you! YES, I like your description of the order gatherers Calla, and I in particular love the way you point out that florists pay a fee to them, which then gets used for advertising to compete against them. I didn’t really consciously think of it that way. Thanks so much for adding more details to the conversation! All these little bits of information help others have that much of a better idea of why they just need to call their florist directly and work with them to develop the best arrangements possible. Thank you for writing this! I was planning almost the exact same blog entry after working for a large wire-service florist over Valentine’s Day. The general public just does not understand the difference. Very well done! Robin: I hope you went ahead and wrote your own blog on the topic, too! (And felt free to add a link to this article!) The more we can explain how wire services work to consumers, the sooner we can get them to stop wasting their money! Ironically, a good friend of mine contacted me a few days after Valentine’s Day to ask me if I’d ever written on this topic because her husband had gone online to purchase her flowers. He had simply typed in the name of his city and “florist” and thought the first listing he got was a legitimate site. She wanted others to know so they wouldn’t be ripped off like her husband was. (I sent her a link to this article.) And I’ve made a note to myself to make sure I do a better job of educating my own friends and family about this topic in the future. Apparently, I haven’t done as effective of a job as I thought I had in getting this message out!